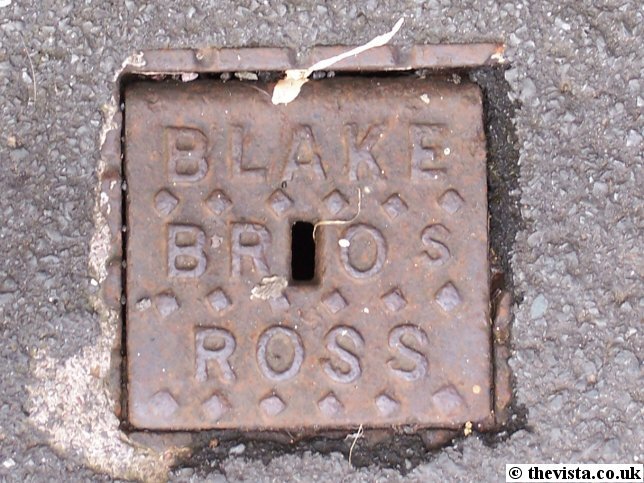 The Blake Brothers had a foundry up in the crofts making various items sold in their shop on the corner of Station Street. 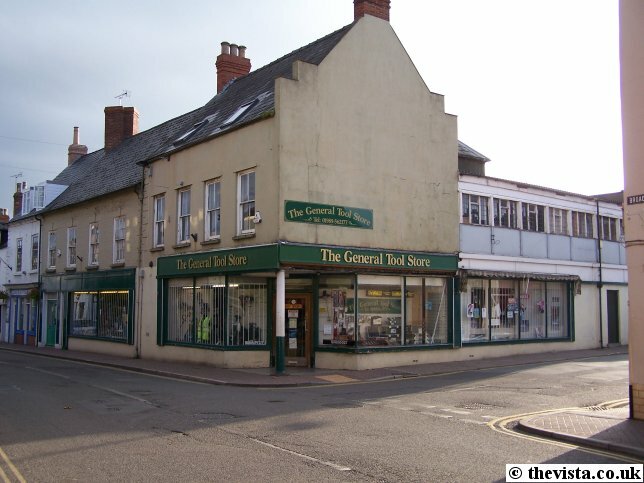 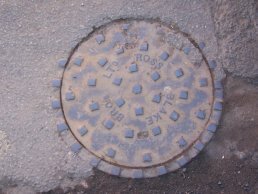 Many of the items they made were used in and around the town. 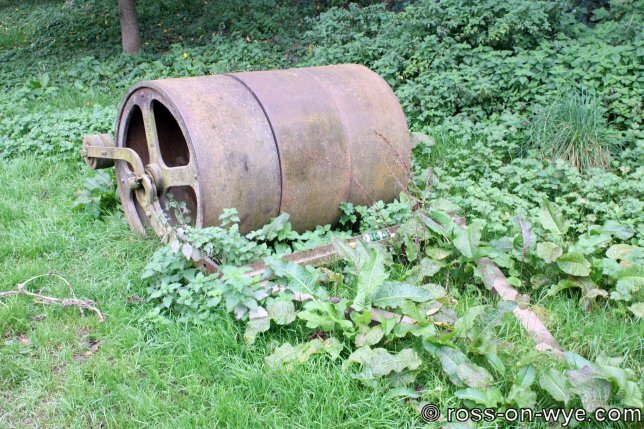 They also reputedly produced a massive kettle used for a tea party which was held when the Railway first came to Ross. 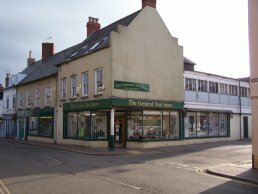 Further information on the party can be found here. 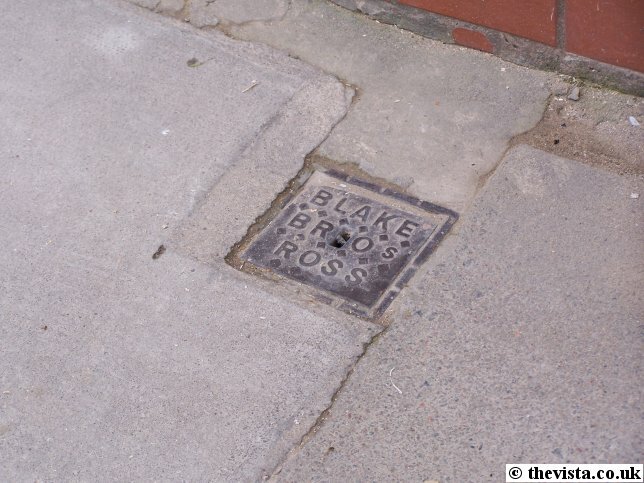 The Blake Brothers work can be found all around the town but there are very few 'doubles' making each item almost unique. 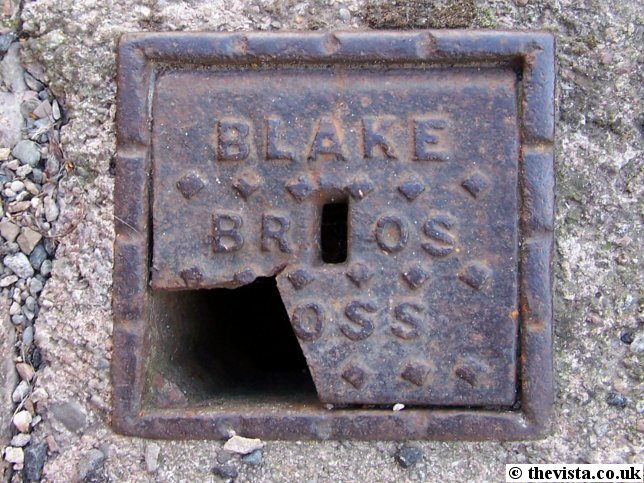 This is an example of a Blake tap or stopcock cover. 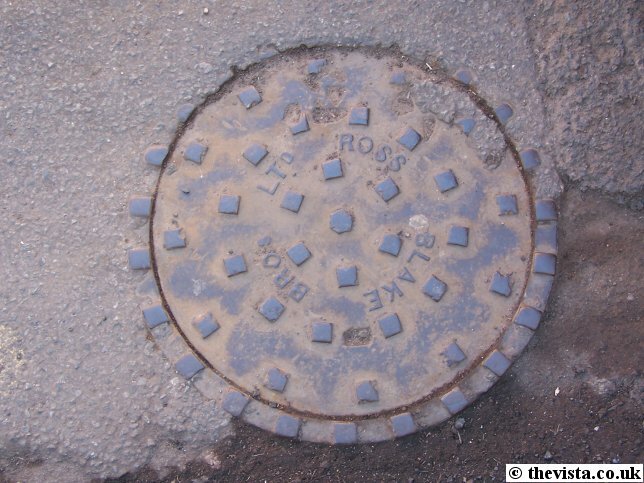 Unfortunately, this cover has recently (circa 1-7-06) been replaced by a modern alternative. 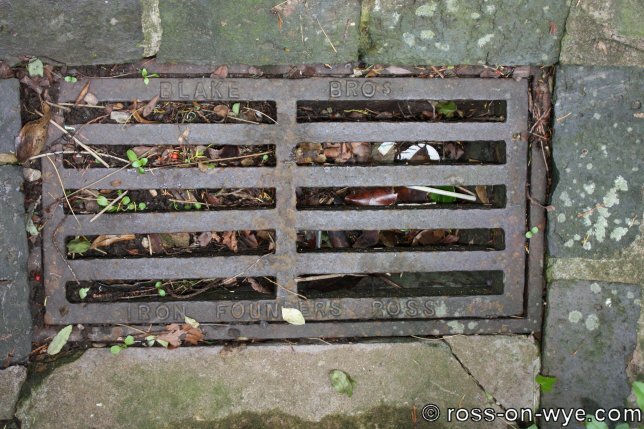 This is an example of a drain grating produced by the Blake Brothers that can be found in the Blakes Memorial Garden. 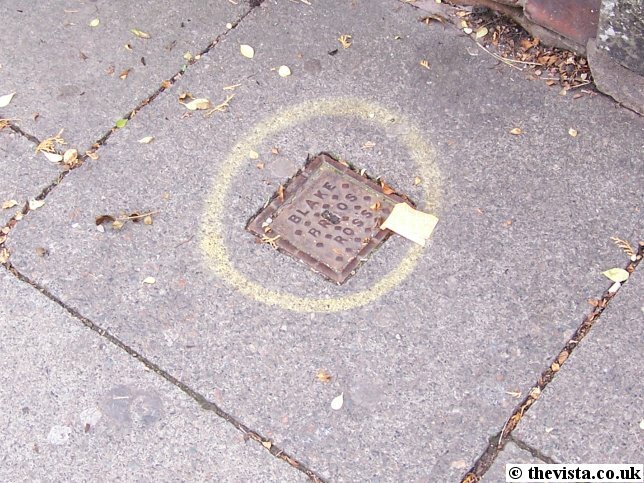 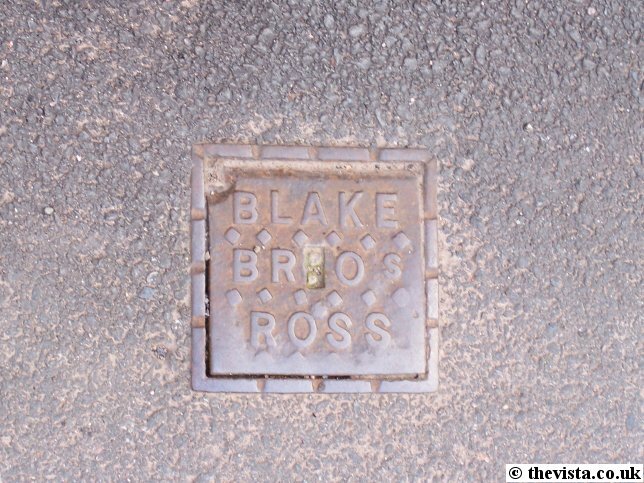 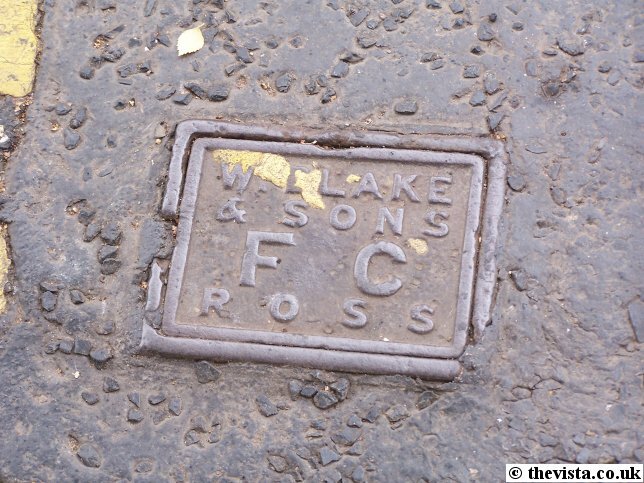 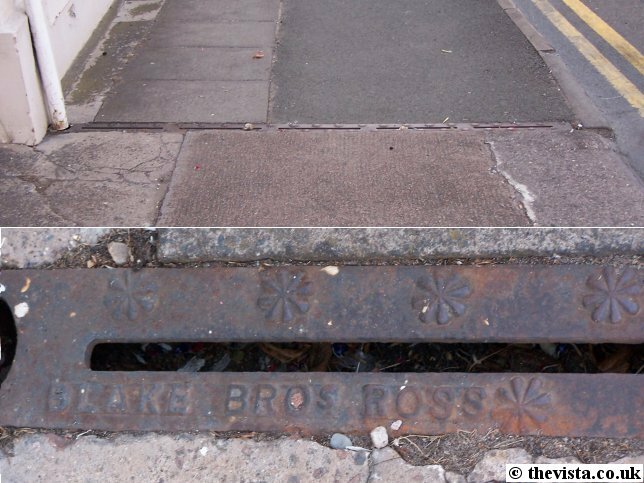 This is an example of a man hole or culvert cover produced by the Blake Brothers that can be found on Station Street. 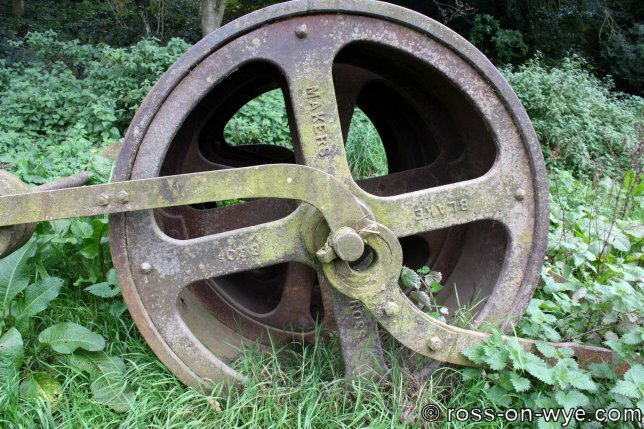 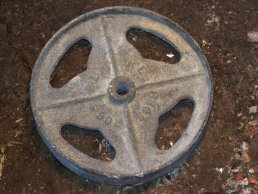 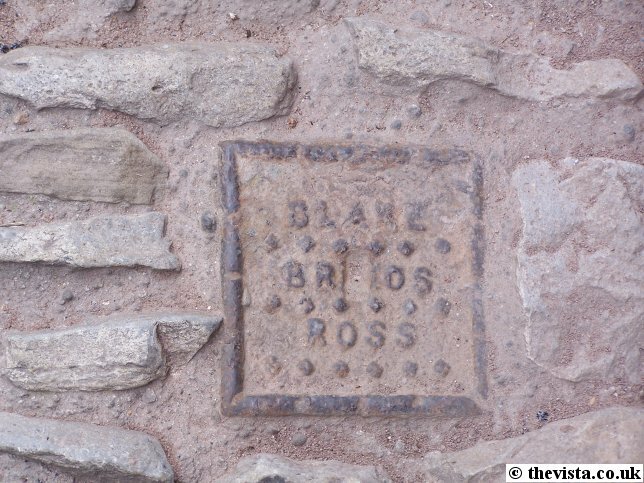 Here we see a cast wheel badged "Blake Bros Ross", possibly off something like a sack truck or something similar. 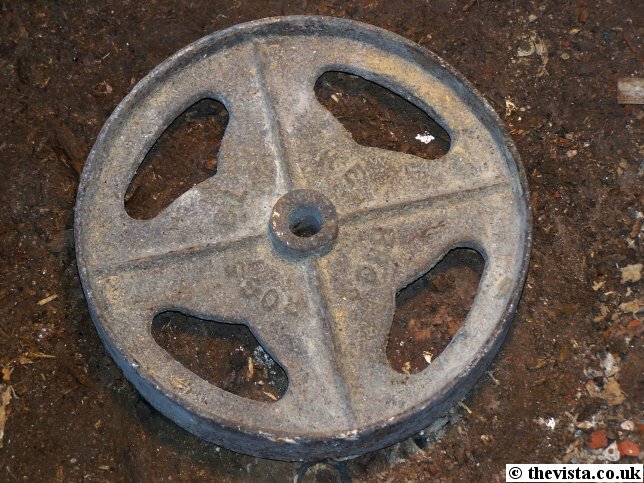 This one was found in a local cellar. 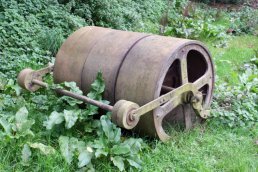 This is a roller that was manufactured by Blakes Foundry and it is currently down at the sports fields just off Wilton Road. 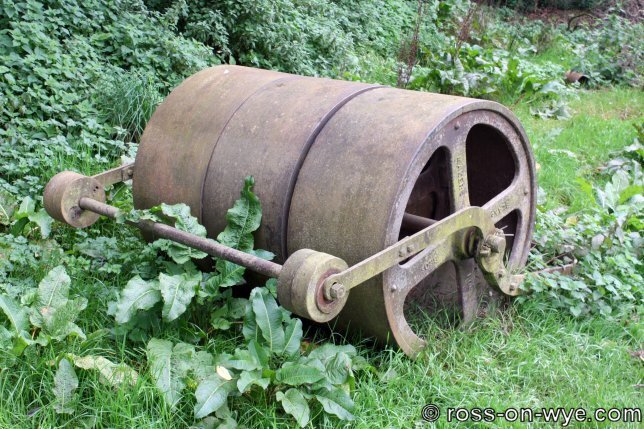 The roller consists of three wheels and a frame to support them and allow it to be pulled along. 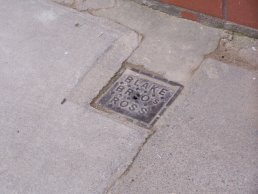 Other examples of Blake's work around the town. 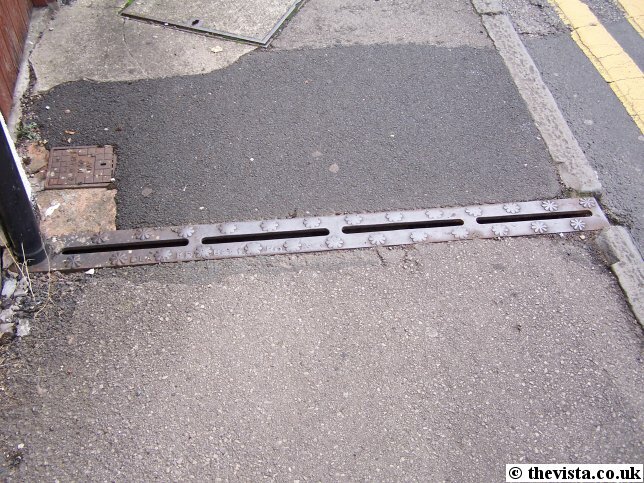 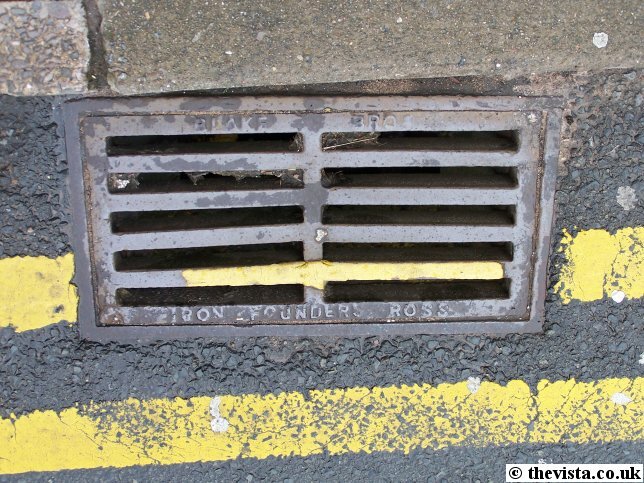 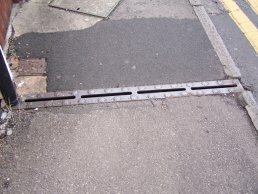 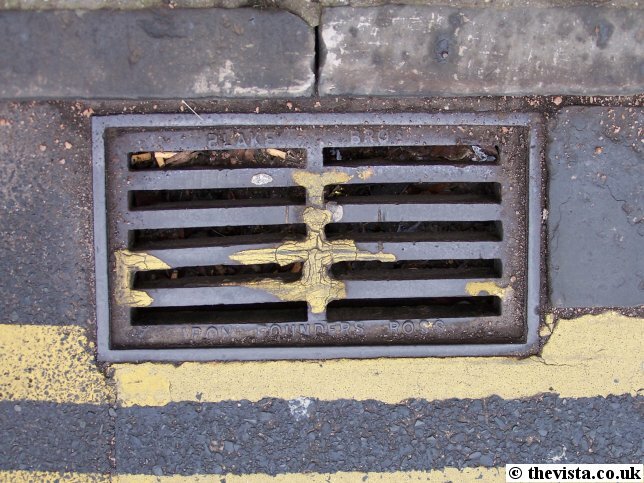 At the top of Edde Cross Street this good example of a Blake drain grating can be seen and further down is a pavement gully. 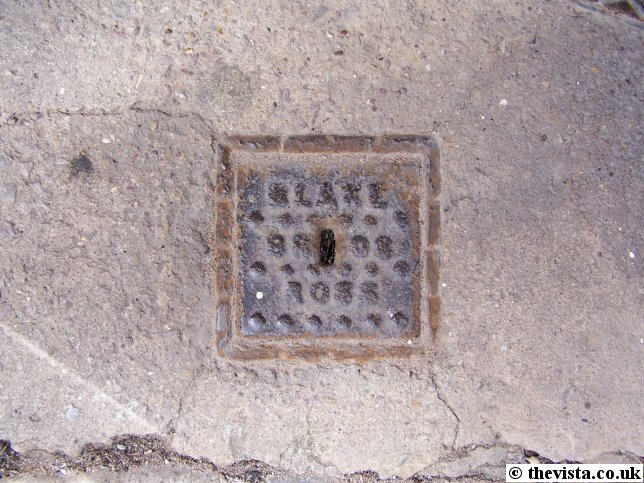 On Greytree Road are several suspect examples but they are very badly worn and unidentifiable. 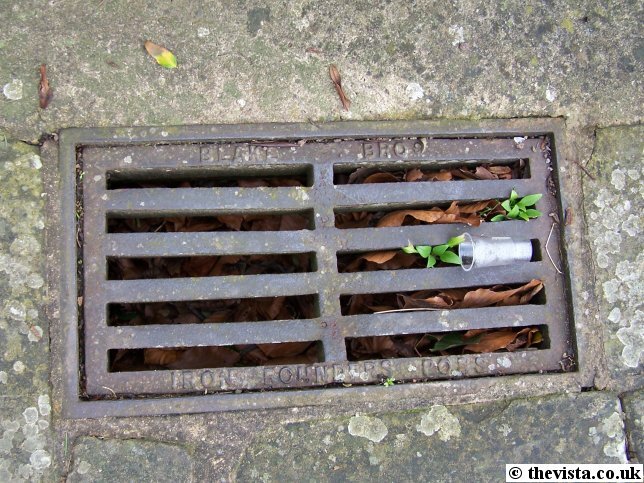 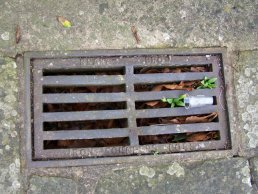 In the Blake Memorial Garden there is a 2nd example of a drain grating.